A family road trip is supposed to be a lot of fun… unless, of course, you’re the Heffleys. The journey starts off full of promise, then quickly takes several wrong turns. Gas station bathrooms, crazed seagulls, a fender bender, and a runaway pig – not exactly Greg Heffley’s idea of a good time. But even the worst road trip can turn into an adventure – and this is one the Heffleys won’t soon forget. Kinney is right up there with J K Rowling as one of the bestselling children’s authors on the planet. 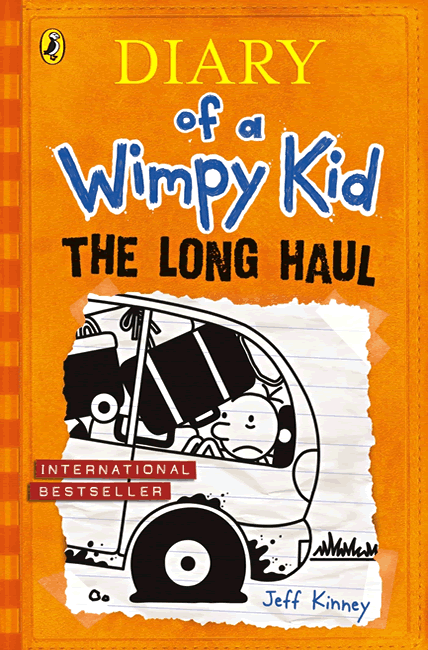 The most hotly anticipated children&rquo;s book of the year is here – Diary of a Wimpy Kid. Orange pictorial boards with a matt laminate finish and gloss UV highlights, light blue endpapers.